Whether you’re in the market searching for your dream home or trying to sell you home to move higher up the real estate ladder, it’s important to look at a home’s actual value as well as how much you love it. A feature you may see as an amenity may turn other buyers away. Keep these factors in mind when buying or selling, as they can be a surprise deal breaker for buyers. Busy streets: Living right off of a main thoroughfare seems like a great idea. You’re near to bars, restaurants and shops; maybe you could even walk there. You can sit in a comfy chair near a window and people watch, or just observe the world going by. Buy buying a home on a busy street can be a deal-breaker for other buyers. Homes on busy streets are actually valued less than homes located on a more interior street. Pet owners, people with small children, or introverts may not want to be surrounded by that level of busyness. Proximity to a school or daycare: Younger buyers are generally inclined to like living near a school or daycare. After all, it makes their lives easier; their kids can walk a short distance to school, or they can drop them off on their daily commute. But to childless buyers or buyers without school age kids, only the downsides present themselves. Lowered speed limits impeding their drive, noise from the playground interrupting their day, pollution from school buses and that long line of cars snaking down the road for pickup and drop-off. Single story versus multistory: From Gone with the Wind’s Tara to Cher’s Clueless, films have romanticized the staircase. 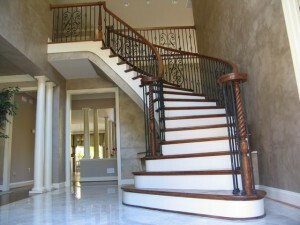 Who doesn’t want to sweep dramatically down the staircase, hand on the railing? Or curl up in a big fluffy chair next to a big window, with a good book and a great view from that second story window? Or dream about your special someone standing below your window, whispering Shakespeare lines up to you? But, as it turns out, half of buyers don’t want a multistory home. Of the 50% that do, many want a first-floor master bedroom. It also doesn’t appeal to buyers with health issues or those who don’t want to run up and down a full flight of stairs every time they need something from another room. Generally speaking, one-story ranch homes have a higher value and are more sought after than multi-story homes. Yard size: Which do you want, a big yard with lots of acreage, or a tiny postage stamp sized lawn? As it turns out, both have their drawbacks. Some buyers prefer a large lawn with room for play sets, gardens and pets. Others don’t want to deal with all of the upkeep associated with more land, and opt for smaller lawns. The pitfall to smaller lawns is less privacy. The magic answer? There isn’t one. But if you have a small yard, make sure you have some kind of privacy barrier. Fences or hedges provide the privacy many buyers the privacy benefit of a larger yard without the maintenance. If you have a large yard, emphasize the benefits. Keep everything neat and trim, and buyers who also want a large yard will see the benefits without the signs of neglect that tell them to find a smaller home. Does your dream home have a large yard, near a school with a second-story master? Don’t worry. Knowing is half the battle, so when the time comes to sell, you’ll be prepared. In the meantime, enjoy your home. Are you looking for a dream home in the Smokies? The Terrell Team can help guide you to the perfect home for you. We have listings in Sevierville, Gatlinburg, and Pigeon Forge. From distressed homes to the cabin of your dreams, there’s something for everyone in the mountains.